Attached is my index to the main articles in our Newsletters. I hope it will be helpful especially if you are wishing to research a topic and wish to see what we have on it. Going through the Newsletters to compile it has been most interesting – I am so impressed by the scope, range, and amount of information we have as a resource, all achieved in 15 years! 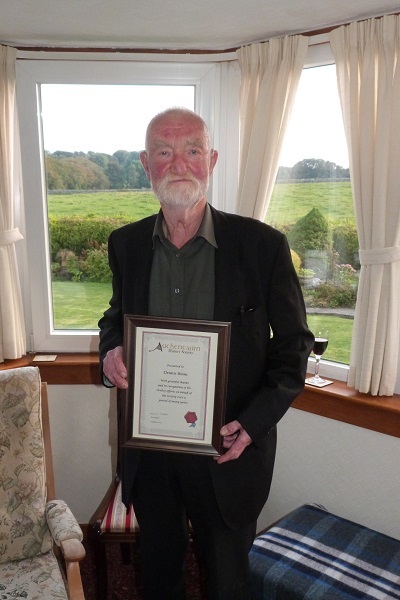 Since the History Society was founded, in 2000, Dennis has been its guiding light. He has conducted extensive research, and written numerous articles, as well as contributing to the Monograph series. He responded to the many and various queries which arrive via our website from people seeking information about their family or other connection to this area, and who always received a prompt and helpful response. A major contribution has been his Editorship of the Newsletter, producing two editions every year with scholarly and meticulous regularity. As well as editing he has contributed numerous erudite and interesting articles himself, and as our contributors often mention, has been of great help to others in their work for the Newsletter. Now, Dennis has decided that the time has come when he must stand down from his post. His many other commitments are leaving him with insufficient time to continue his work as Editor – though he will, I am sure, continue to delight us with articles and research such as his time permits. 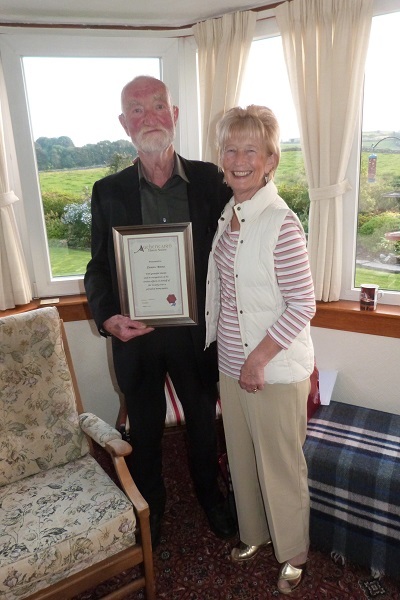 This photo was taken when a presentation was made to Dennis, as a ‘thank you’ for all his work for the Society. Dennis with the Society President, Marian Makins.